WASHINGTON - When U.S. prosecutors unsealed a March 2018 indictment accusing Julian Assange of conspiring to illegally access a Department of Defense computer system, they sparked more than just an examination of the case and the accused. 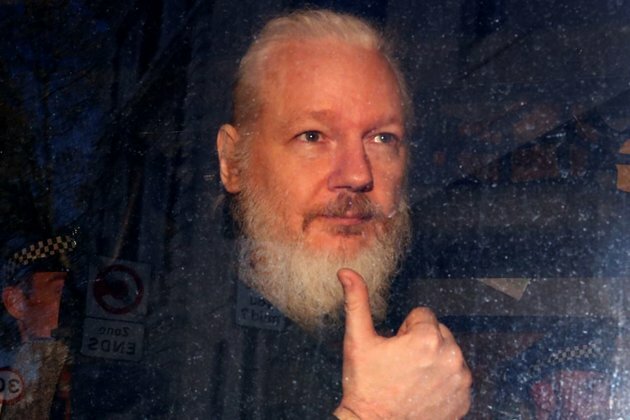 The WikiLeaks co-founder is charged with participating in a password hacking agreement with Chelsea Manning, a former U.S. Army intelligence analyst who served seven years in prison for leaking one of the largest troves of classified documents in U.S. history. Newspaper editorial pages, political pundits and cable news analysts are debating whether the case against Assange imperils freedom of the press, whether hes a member of the press, and whether it threatens First Amendment protections. One only needs to examine what WikiLeaks has distributed to come to the conclusion that Assange is not a journalist, she told Voice of America. WikiLeaks is a conduit to distribute stolen information, both classified and unclassified, she said, without context, without any analysis or explanation. Journalists add value, analyze the facts and connect the information they disseminate. WikiLeaks is just a conduit, just a platform for illegally obtained materials, she said. Even if he was a journalist, theres no free pass for those who violate the law. This is no different from physically breaking into a building and breaking into a safe its the cyber equivalent, said McCord, who is currently a visiting professor at Georgetown Law School. Louis Clark couldnt disagree more. Hes a journalist and WikiLeaks is a journalism organization, he said. Were talking about the press, press freedoms and essentially First Amendment issues. It is particularly troublesome when our government decides to prosecute essentially a member of the media, he said. I definitely think there needs to be a presumption of innocence at this point given the track record of the Department of Justice in the areas of espionage and security, he said. Harvard Law Professor Yochai Benkler has written about the legal implications of prosecuting WikiLeaks. He told The Guardian he believes the indictment contained dangerous elements that pose a significant risk to national security reporting. Sections of the indictment are vastly overbroad and could have a significant chilling effect. Gabe Rottman is the technology and press freedom project director for the Reporters Committee for Freedom of the Press, the organization that went to court to have the Assange indictment unsealed. He and his colleagues are focused on the impact the case has on transparency and accountability in light of the Supreme Courts recognition of broad First Amendment protection for the publication of information of public concern and how that standard must be applied to the case against Assange. Rottman believes the emphasis has to remain on the fact that publishing of even damaging government information is legally protected even if the material is acquired unlawfully as long as the publishing party didnt break the law to get it.